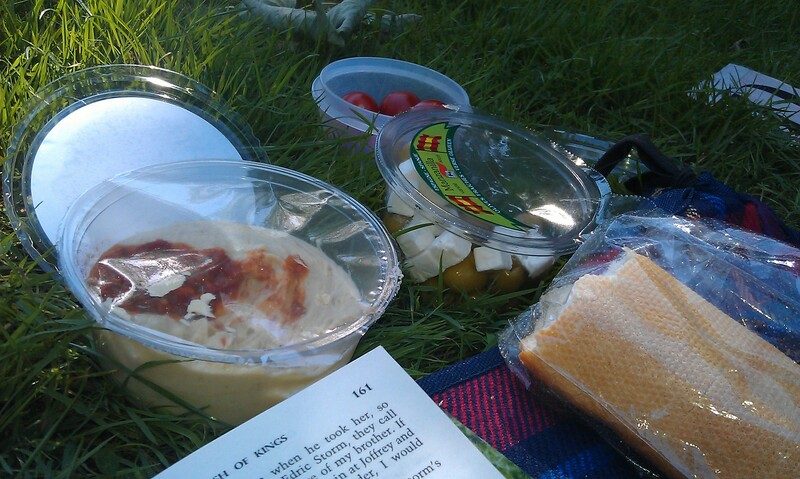 On Sunday we decided it was time for a picnic in the park. We stocked up on cookies, bread and some nice titbits, packed the picnic rag and headed for Tervuren, a place just outside of Brussels, or so we thought. But no we didn’t. We ventured further east but in the end we always ended up at a blocked road. 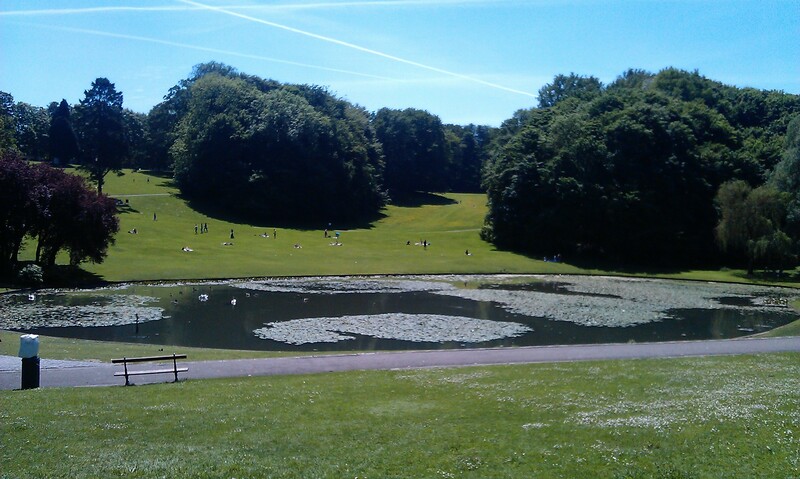 But we also ended up at another park, Parc de Woluwe/Woluwepark. Beautifully tugged away between rolling hills, there was a little lake and we decided to stay here for a while hoping they would open the roads again soon. After a snack and some sunbathing, we tried it again. And we finally got there. The park belongs to a building which houses the Africa Museum (a bit of a weird thing as it was especially build to show of colonial acquisitions) and it all spoke of old glory but was now a bit run down. 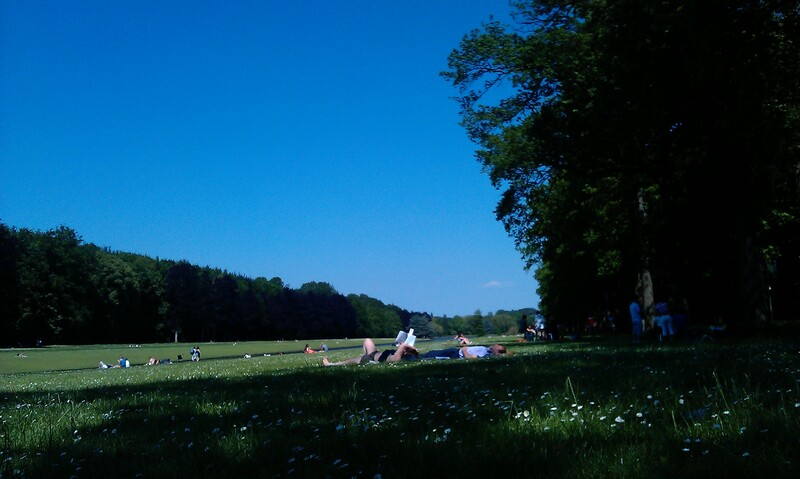 But the lawns next to some canals made a perfect picnic and sunbathing ground. And the park has a really nice wood and some more canals and lakes enclosed. But we didn’t have that much time to explore it. After that perfect sunday, I started my drive home while Tine took the tram home. This entry was posted in Belgium and tagged Brussels, Park, Short Trip, Summer by kathatravelling. Bookmark the permalink.